Week two of my Parisian journey began at a non-denominational worship service at the American Church of Paris. The service was all in English and was followed by a Ministry fair in their fellowship hall. My heart jumped when I walked into the room and saw a “Moms in Touch” sign. 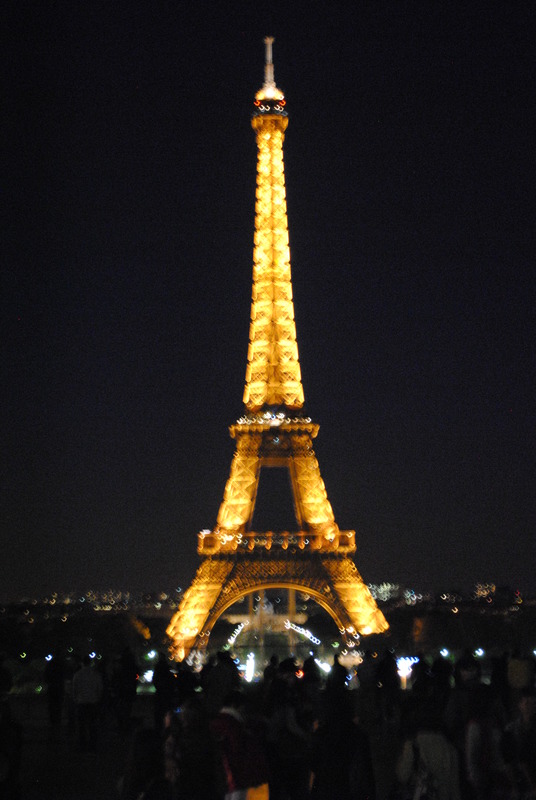 I immediately signed up for a session on Saturday mornings to pray with other Moms from Paris for our children. I first began meeting with Moms for prayer back when Kalie was in Kindergarten and am still active in a group that meets at FBC El Paso. This precious group of friends is actually praying for me this semester as I am in Paris. After church Kalie and I took a stroll down the Champs Elysees, ate at a McDonalds, and met some of her friends from DBU at the Eiffel Tower! 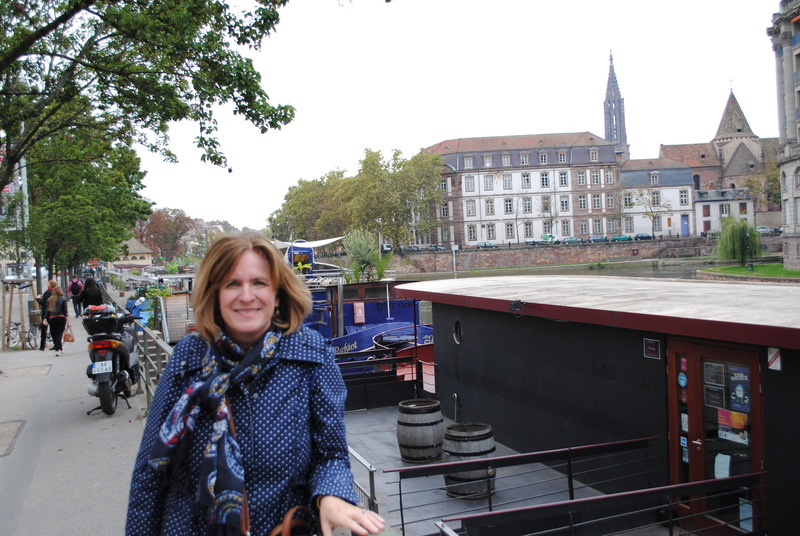 Monday, Kalie and I took a TGV to Strasbourg, France, an ancient city dating back to the 5th century. 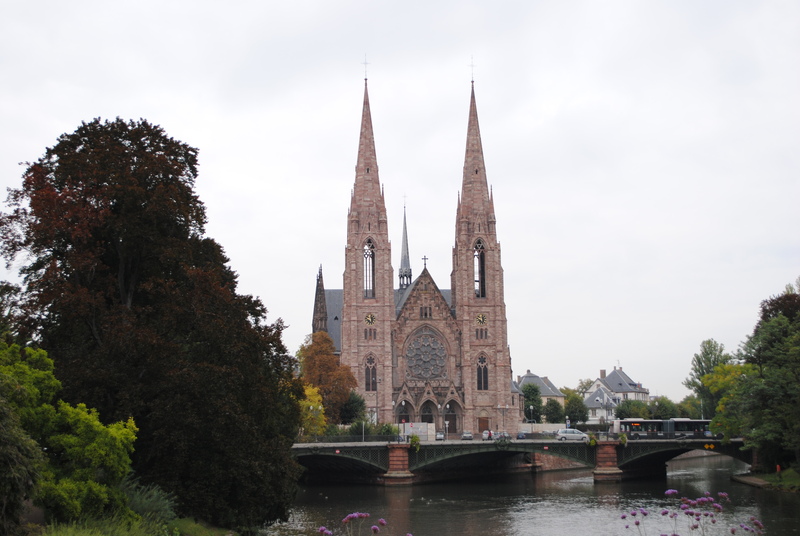 Strasbourg is in Alsace region of eastern France and Germany’s Black Forest (Hansel and Gretel) and is the home of my great great grandfather Gideon Pillar and aunt Louisa Chapeaux. It is also the official seat of the European Parliament. In 1940, Alsace Lorraine was annexed to Germany under the rule of Hitler and the entire city of Strasbourg (120,000) was evacuated for 10 months until being liberated. This is a beautiful city with much history as we learned from a boat tour around the canals complete with transferring in “locks” and a comical narration from an Irishman. To keep the tour interesting, the narrator would throw in gruesome details about the historic sites “and on your left, you will see a beautiful bridge built in the 1100’s” …” where the criminals were thrown into the Ill canal in cages while woman sat on the shore, knitting and mocking”. “And on your right is a King’s Inn built in the 1200’s which would be the choice of Inn by the Medici family” ….” However it was completely gutted by a fire that killed most of the people when a fat monk got stuck in a window on the way out and all the people behind him perished”!!! At least my homestead has a colorful history! 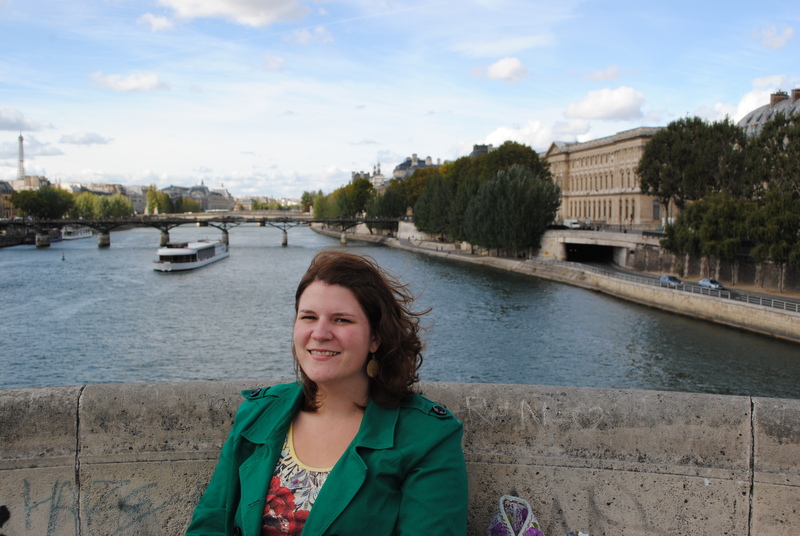 On Tuesday, I met with the Sorbonne Program Director, Anne-Marie. She was so nice and welcoming. She even had a Kleenex ready for me when I started to share about my feelings of homesickness. Apparently, most students go through it a little bit later than I did!! Usually about the third week in! Kalie left on Wednesday so I am really on my own now. It was so great to have her here to help me get settled! It is very surreal being on this side of a Second Language Program after teaching in ESLI at West Texas A&M for many years. A new student never takes for granted being greeted with warm smiles and a listening ear. The new student orientation includes several excursions around the city: a boat tour on the Seine, a walking tour around the Latin Quarter and a visit the Louvre museum tomorrow after our placement tests. Not a bad first week! As far as the cultural acquisition I have learned several lessons this week: 1) just because it is printed on a brochure, the rules can change upon discretion of the cashier 2) the French do not eat peanut butter (why is that?) 3) if you are just ordering a sandwich, you will not get a placemat (paper) , utensils , or a pretty glass for your water 4) if you don’t know a word in French, don’t try use the word in English with a French accent (“cheeseburger” is NOT French) and finally 5) the Croque Monsieur at La Madeline in America beats the one’s here hands-down! I will begin my academic adventure tomorrow as I take a placement test for my course level. Let the learning begin!